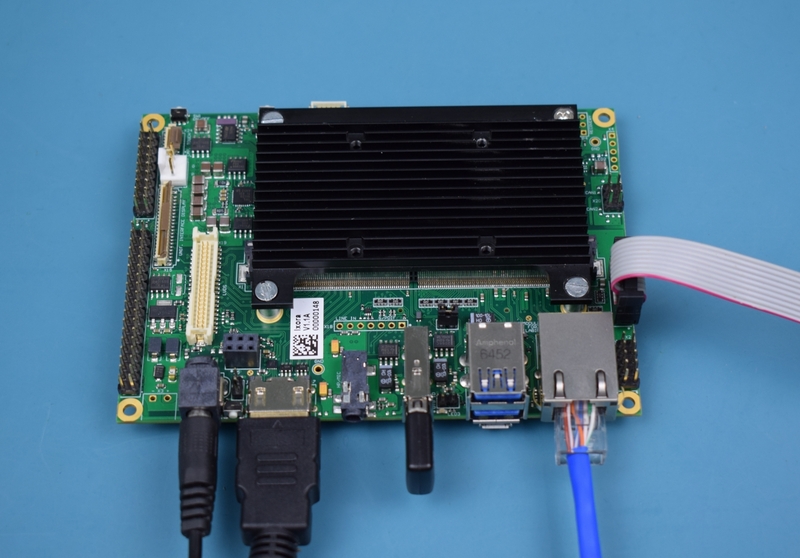 Remove the Ixora Carrier Board and the Apalis Computer on Module from the blisters. 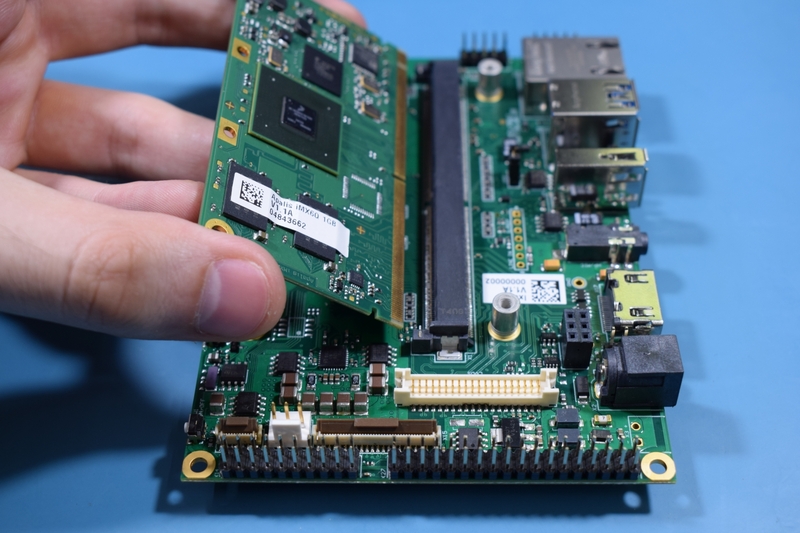 Insert the computer on module into the X1 connector of the Carrier Board as tight as possible, with the module inclined ~30 to 45 degree in relation to the carrier board. 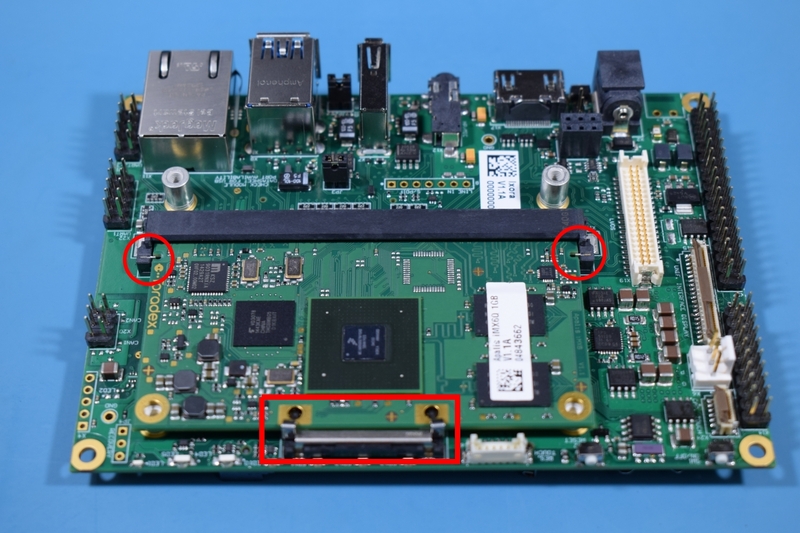 Warning: Make sure that the module is well connected to the carrier board. The image below have some checkpoints highlighted. 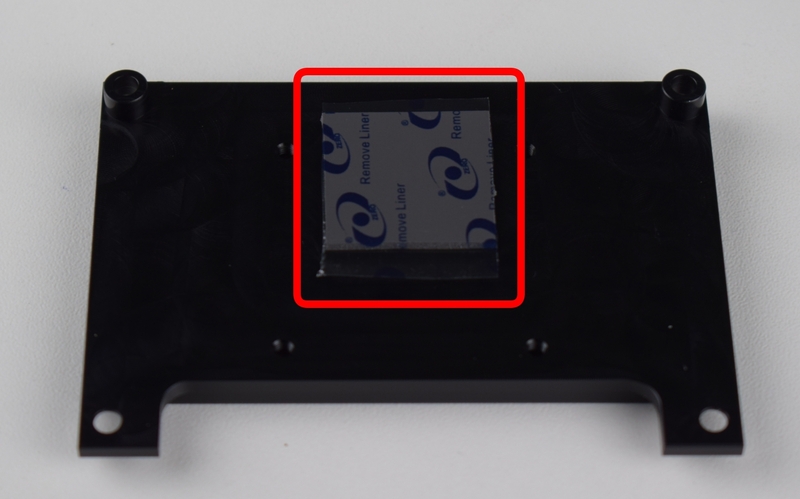 Remove the protection from the Apalis Heatsink rubber that couples the module's SoC and the Heatsink itself. 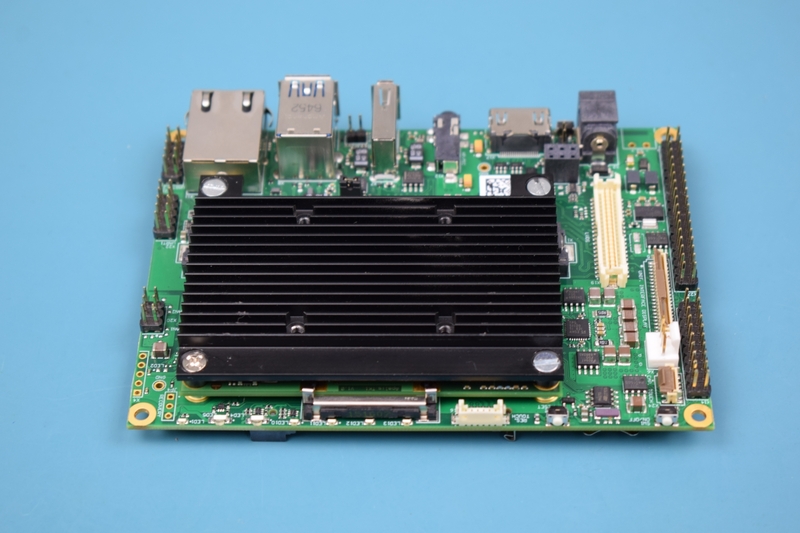 Attach the Apalis Heatsink to the Ixora Carrier Board, on top of the Apalis computer on module. Use screws to guarantee optimal thermal coupling. 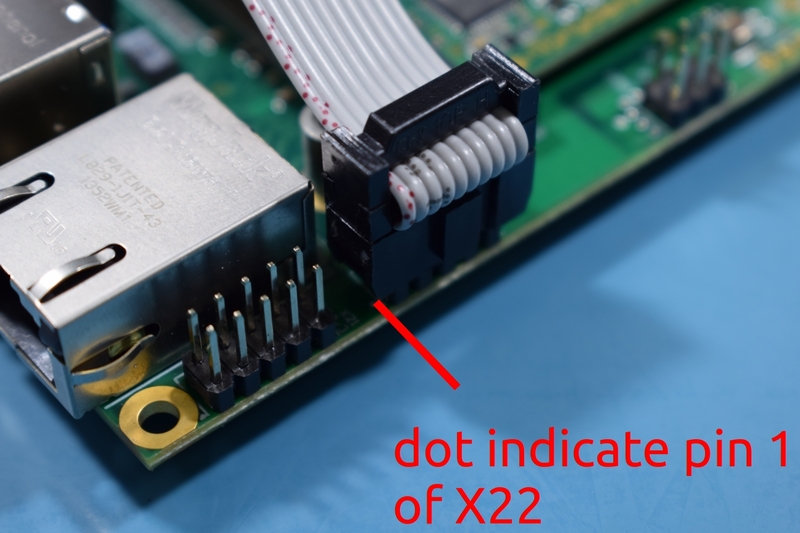 Connect the DB9 to IDC adapter cable to the X22 connector on the Ixora. Connect a USB-Serial converter to both the adapter cable and your host machine. 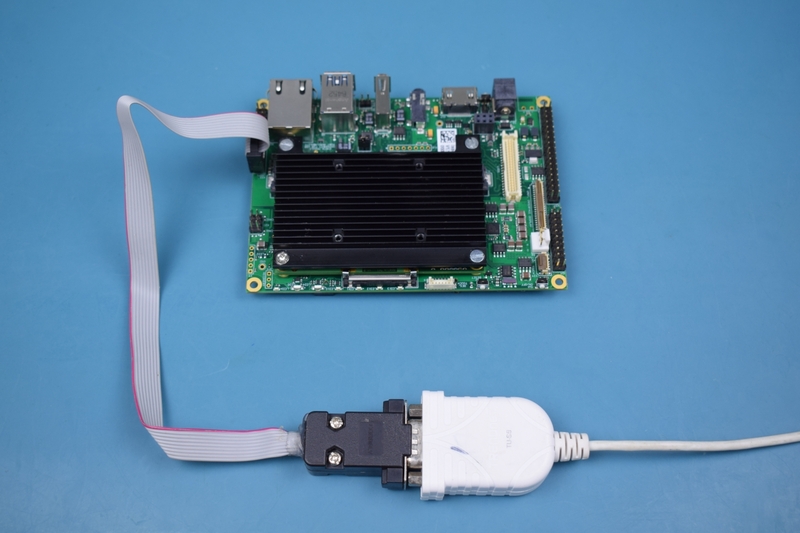 Connect an HDMI display to the Ixora's X17 connector. Connect a USB keyboard to the Ixora's X7 connector. Connect the Ethernet cable to the Ixora's X11 connector. Note: Ethernet network must provide DHCP and Internet to the module. Connect the power supply to the Ixora's barrel jack X2. Attention: Double check that your power supply is within the Ixora Carrier Board limits (7-27V) and that the polarity is not inverted. Also, make sure that the current capability of the power supply is enough, or the system may shut down unexpectedly. For evaluation purposes, a 12V 2A power supply is recommended.